SFGE Is a Stop on PAPA’s 2014 Circuit! Feeling competitive? 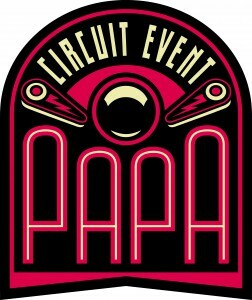 We’re thrilled to announce that the Professional and Amateur Pinball Association (PAPA) has added SFGE as a stop on their 2014 Circuit, and live PAPA tournaments will be taking place all weekend. Plans are also underway for additional gaming competitions, so stay tuned for more details on how to register and compete for acclaim and prizes.